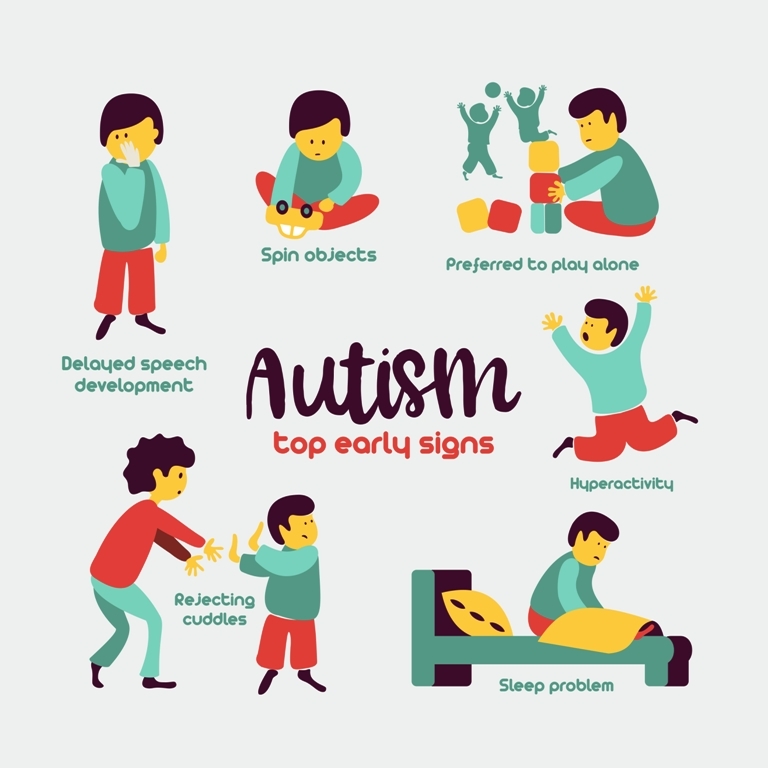 Autism spectrum disorder cannot be completely cured but there are certain behavioral and educational therapies and medications which may help to reduce its symptoms. Different kinds of therapies help to improve speech and behavior, and medications help in the management of any related medical conditions. Applied Behavioral Analysis (ABA) therapy is most commonly used to improve behavior and decrease impairing actions. Parent-mediated interventions therapy involves teaching the caregivers how to help their children in a homely environment. 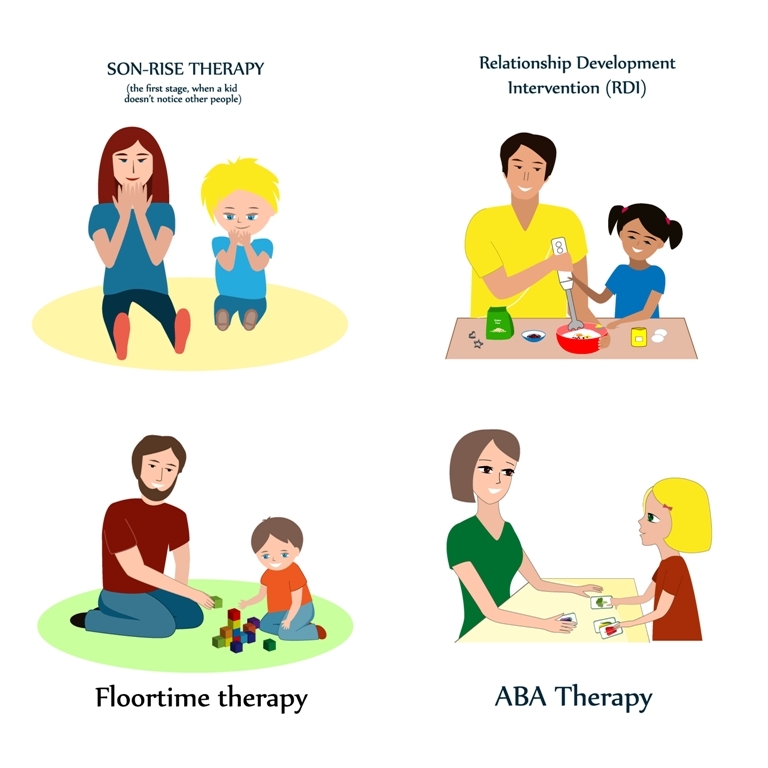 Other therapies are pivotal response training (PRT), early intensive behavioral intervention (EIBI), son-rise therapy, verbal behavior intervention (VBI), sensory integration therapy, relationship development intervention, etc. 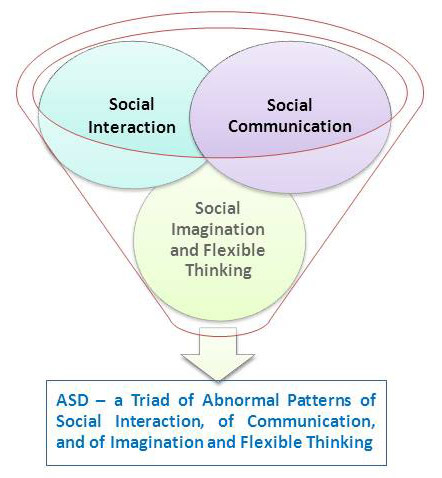 Some children with Autism spectrum disorder (ASD) express symptoms by 12 months to 18 months of age or earlier. But, in most cases, the signs are visible before three years of age. It is estimated that more boys are diagnosed with autism than girls. Some common early signs of autism in children are problems in maintaining eye contact, poor skills in pretending play and imitation, problems with nonverbal communication, repeating words or phrases over and over, flapping of their hands, rocking their body, or spinning in circles, baby does not respond to his or her name, unusual reactions (over or under-sensitivity) to sound, smell, taste, look, or feel, seeking sensation, etc. 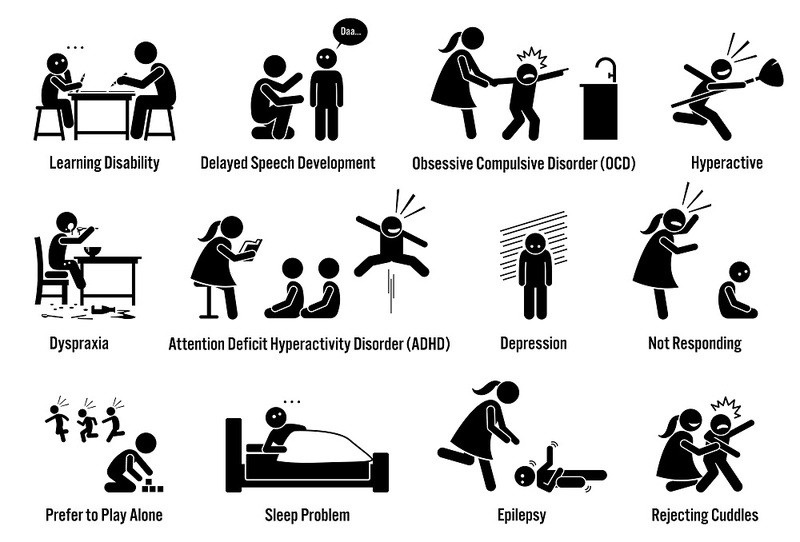 The severity of symptoms of autism can vary greatly. Common symptoms include difficulty with communication, difficulty with social interactions, obsessive interests and repetitive behaviours. The symptoms may appear earlier or later. Early symptoms may include a marked delay in language or social development. The symptoms can look different in different people. If you think you may be living with autism spectrum disorder (ASD), learn these signs and symptoms in adults. 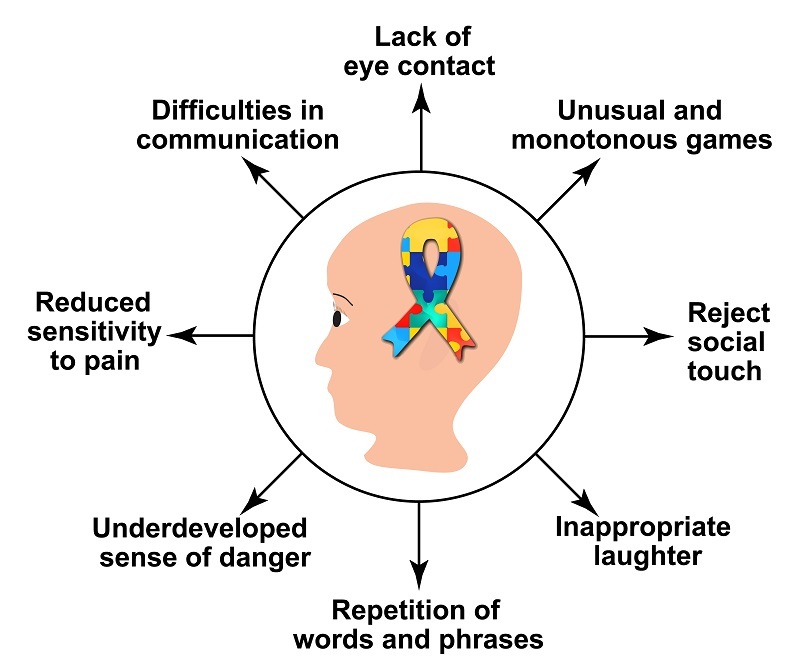 This image depicts signs and symptoms of autism in a child such as learning disability, depression, dyspraxia, epilepsy, and being hyperactive. 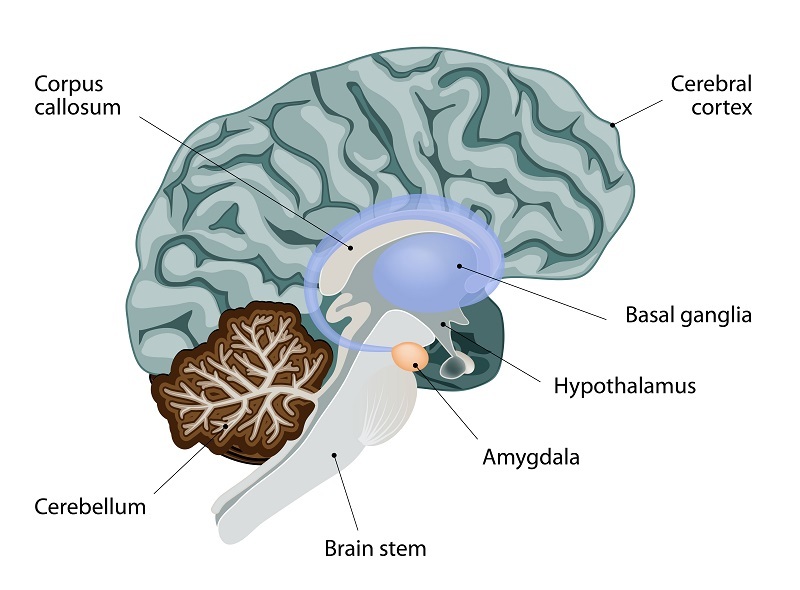 Different parts of the brain are affected due to autism such as the cerebellum, hippocampus and amygdala, lobes of the cerebrum, ventricles and caudate nucleus. New research is challenging the long-held belief that autism affects only those regions of the brain that are responsible for controlling social interaction, communication, and reasoning etc.